During the 19th Century, the electric telegraph revolutionized how information was transmitted across long distances. Instead of taking weeks to be delivered by horse pulled mail carriages, news could now be exchanged between telegraph stations almost instantly. 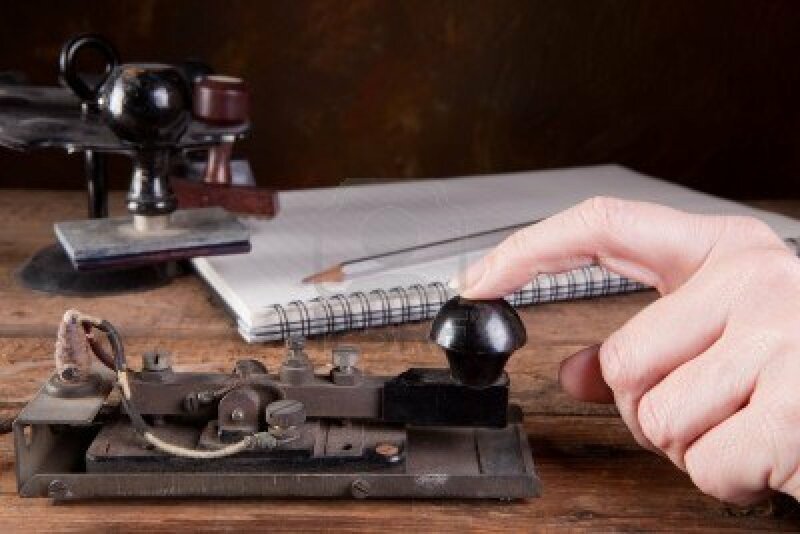 The first telegraph message was sent on May 24, 1844 between Washington D.C. and Baltimore, Maryland when Samuel Morse sent Alfred Vail the message: “What hath God wrought!” Use of the telegraph was eagerly accepted by the American people and quickly spread across America. By 1866, the first permanent telegraph cable had been laid across the Atlantic Ocean to the European Continent. The telegraph transformed communication during the Civil War and profoundly effected how the war was fought and won. Indeed, the telegraph can be seen as a turning point in American history. We are excited to have Captain Henry Tuttle join our Civil War Weekend event this year. Tuttle will talk to visitors about the history of telegraphy and share his traveling museum of telegraphy pieces in our Chester Park Train Station. Henry Tuttle has been involved in reenacting the Civil War for 15 years and has appeared on the History Channel and Travel Channel. Join us for Heritage Village Museum’s Civil War Weekend Saturday May 18th 10am-5pm and Sunday May 19th 10am-3pm.